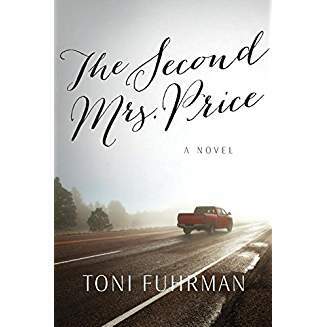 Thus Toni Fuhrman opens her second novel, The Second Mrs. Price, a compelling tale woven from the eternal conflict between our need to belong, to be rooted, and our desire to escape those bonds and follow our passions. Selene Price, a mid-career editor, has broken up a family to get her man, Alex, but cannot let go of the house where she grew up, the home of parents who died too soon. On the steps of that house, on the blissful afternoon described above, trouble appears in the shape of Alex’s half-brother, Griff, a rootless soul without commitment or goal. Selene shifts back and forth between her love for the safe and successful Alex and her passion for his brother. Though she felt guilt at breaking up Alex’s family, she feels no guilt in pursuing Griff, as though she believes she can have both. But Selene is not the only one entangled in the web of want and need. As her passion drives her closer to fruition, the story shifts to other characters’ struggle with the same conflict. The story shifts from one to another, creating a tangled skein of hidden turmoil. The peaceful eye of this storm of buried emotion is the brothers’ grandfather, Bernard, and their love for him draws the characters together. But the impending crises inevitably come to a head, and the question becomes how (and whether) Selene or the others will find their way home. Woven into the time-honored conflict between freedom and belonging are the generational changes wrought by social revolution of the last century. Selene and the brothers are children of that revolution. The brothers’ mother, child of traditional values, sees her illicit affair as “a dark patch in her past,” while Selene, she notices, “dances in the middle of her wildness.” Despite the new freedom, the conflicts remain as anguishing as ever and the consequences unchanged. The beauty of the prose, evidenced by the opening quote, and the variations on the theme over time and character, give depth to an absorbing read and a thoughtful, unvarnished view of our times. The Second Mrs. Price is available in paperback and ebook at Amazon, Barnes & Noble, IBook and (in print) at your local bookstore. This is a great review. I, too, enjoyed this novel. Toni Fuhrman is an excellent writer. I’ll let Toni know. Thank you, Mary. Nice review, Judith. The opening is quote is compelling. Isn’t it. I couldn’t resist opening with it. Thank you, Judy for a great review. The first paragraph from the book grabber my attention and I wanted to read more of the lyrical style and stories of inner conflict. Sorry for the typo–I meant to say grabbed (not grabber). I hope you enjoy the whole book as much as the opening. I think you will.